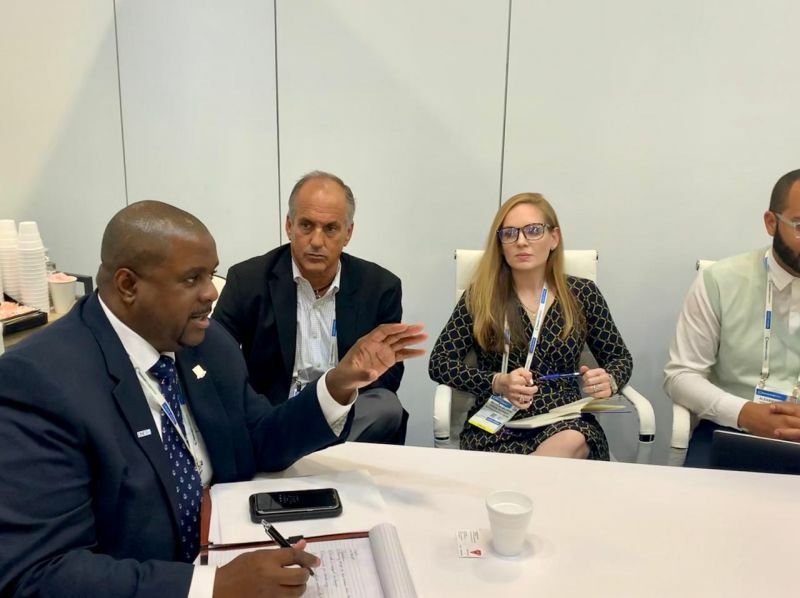 ROAD TOWN, Tortola, VI – Following his attendance of the Seatrade Global trade in Miami Florida, Premier and Minister of Finance, Hon Andrew A. Fahie (R1) has indicated that the Virgin Islands (VI) is now in a better position to enhance its tourism product. 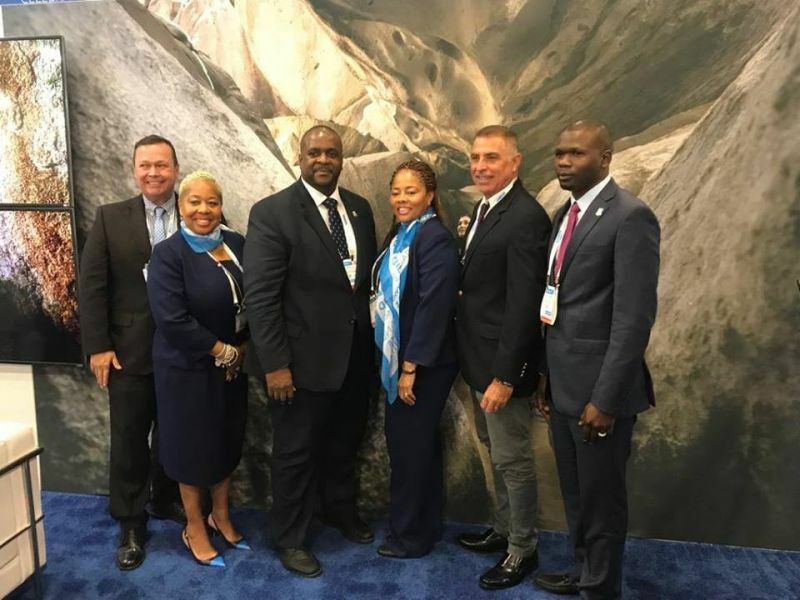 According to a public missive on the outcomes of the event held April 9 to 11, 2019, Premier Fahie who led the BVI delegation said it was crucial to attend this event to better understand the needs of the Territory’s cruise partners while nurturing a more beneficial partnership with them. “Equipped with this understanding, the BVI will be better positioned to enhance the tourism product, and take advantage of the vital training and career opportunities available for our people,” Premier Fahie said according to release. The premier added, “I attended this cruise industry event with clear goals, and through our productive meetings and the willingness of our valued cruise partners, I’m pleased to say that I will be working closely with my team and the cruise lines to address pre-existing challenges that were highlighted during our meetings,” he added. Mr Fahie further mentioned that the VI’s relevance and survival in this industry demands that continuous two-way communication is maintained with cruise partners, “My administration will ensure that these relationships are effectively managed to maximize the benefits garnered,” he said. The premier emphasized that the BVI will continue to work diligently to maintain and advance its current position within the market, define and improve its tourism product, and leverage these attributes to provide opportunities for economic growth, with the people of the territory at the forefront. On the Trip, the Premier was accompanied by Minister for Transportation, Works and Utilities Hon Kye M. Rhymer (R5), and Junior Minister for Tourism Hon Sheeren D Flax-Charles (AL), as well as representatives from the BVI Tourist Board and other key industries. 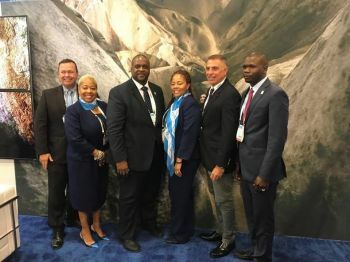 The release notes that the Premier chaired fruitful meetings with six of the major cruise lines, executives of the Florida Caribbean Cruise Association (FCCA) as well as other tourism stakeholders. At the cruise trade show, meetings were with executives from Norwegian Cruise Lines, Disney Cruise Lines, Royal Caribbean Cruise Lines, Carnival Cruise Lines, MSC Cruise Lines and Virgin Voyages. I am proud of my premier. He is opening doors for the Virgin Islands tourism industry. This is a man on a mission. I wish the Virgin Islands all the best for a very fruitful tourist season. Those doors are already open by Hon Vanterpool, Premier Fahie can tell you so, he just keeping them open! This is a joke. What a generic press release that say absolutely nothing. Cruiseship don't bring no money. Everybody know it is sailing and hotels and the boats from USVI. You want to understand Tourism then talk to them with your big team. At real, tslk to them ungrateful greedy taxi drivers out there at the cruisehip port and you will learn how much.money the cruisehips does bring inn! In the spirit of transparency and accountability, list ALL who was in this trip including the consultants and the total cost.